Football has always been a sport suitable for argument. The decision of a referee was final and nobody could change it later. If a referee said it was a penalty – there was no point in arguing with them. But that recently has gone through a change. Although technology has become an inevitable part of every sport, FIFA likes to make things more human-related. 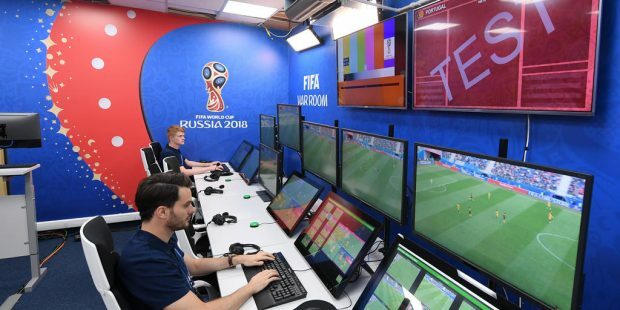 No matter how hard they tried to stop technology meddling with football, they finally realized that there is no room for human error in big competitions. Therefore, they started introducing some of the new technologies, and the latest World Cup in Russia had great help from Artificial intelligence (AI) and other similar technologies. Let’ take a look at the ways AI is used during football games. The human eye cannot always determine whether the ball has crossed the goal line or not. Goal Line Technology is an AI-powered piece of technology that corrects these mistakes with the help of maths, chips, and cameras. Goal Decision System is a part of Goal Line Technology. 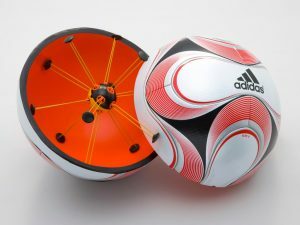 It consists of a chip embedded inside the ball and into the headset of the referee team. That way, the referee can decide with certainty whether the ball has crossed the goal line. This type of ball first appeared in WC 2014, and it was named Brazuca and used to be considered the best ball for football that had ever been made. Football players sometimes need technology in order to improve their skills. Footbonaut is a practice technique that combines training with technology and helps players work on their passes within a simulated environment. Although it is a bit more expensive, this method proved very useful for many professional footballers all around the world. 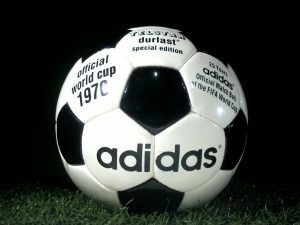 Telstar is the name of Adidas ball that was introduced back in 1968 and has been continuously upgraded in order to prove the perfect football experience. In WC 2018, a chip was embedded inside the ball, and the consumers were able to interact with it with the help of their smartphones! Computer Vision is not the name of any particular piece of tech. It is just a branch of AI that uses computers to scan the environment and make smart systems. For example, Computer Vision helped in the last World Cup with video highlights, camera controls, security, and much more. Finally, we have come to the most important and the newest addition to football – Virtual Assistant Referee (VAR). VAR uses AI and other pieces of technology to monitor the field and all players. If a referee thinks that they might be wrong (or a remote referee team suggests it), they are allowed to stop the game and rewind video recording in order to review the problematic situation. However, the last call is always up to the main referee. If they decide that something is not a foul, then it definitely isn’t. In other words, we also get to see what referees see on VAR, and we might not agree with them, but there is nothing we could do to change their opinion.